Since its inception in 1914, its parent art of Judo was separated from older systems of Japanese ju-jitsu by an important difference that was passed on to Brazilian jiu-jitsu: it is not solely a martial art: it is also a sport; a method for promoting physical fitness and building character in young people; and, ultimately, a way of life. 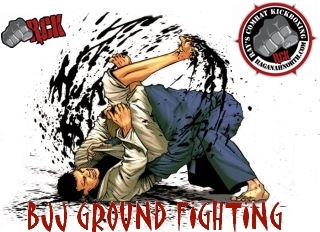 BJJ promotes the concept that a smaller, weaker person can successfully defend against a bigger, stronger assailant by using leverage and proper technique, taking the fight to the ground – most notably by applying joint-locksand chokeholds to defeat the other person. BJJ training can be used for sport grappling tournaments (gi and no-gi) and mixed martial arts (MMA) competition or self-defense. Sparring (commonly referred to as “rolling”) and livedrilling play a major role in training, and a premium is placed on performance, especially in competition, in relation to progress and ascension through its ranking. RCK Training Center Welcomes Mike Danyus as our Official Head Instructor For The RCK Brazilian Jiu-Jitsu Program. Mike Danyus is a 4-stripe purple belt in Brazilian Jiu Jitsu under Master Renato Tavares and has been training BJJ for over 7 years. He earned his purple belt from 5x World Champion Daniel Moraes in 2013. He studied under Sensei Zurab Bekochvili in the art of Judo and Sambo, achieving his blue belt in both arts respectively. He loves to compete in BJJ. He has a passion for fitness and has successfully earned a degree in Advanced Personal Training and Exercise Science from Bryan University and also made the Deans List. Mike will be testing for his brown belt later this year.